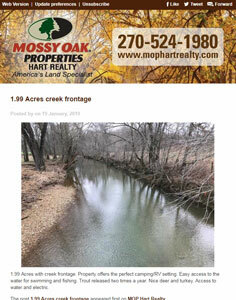 Email newsletter setup to help them advertise properties that they have for sale. We can set it up to either automatically pull new listings from their website, or they can manually enter the listings each month. The system allows them to see which of their subscribers clicks on which listing so they can follow up on leads.